This guide is focused on providing law students with resources pertaining to life as a law student. The focus is on blogs, websites, legal news, and books. 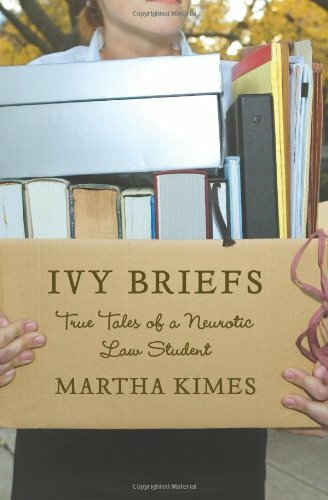 First time author Kimes is entertaining and funny in recounting her three years at one of the country's premier law schools. 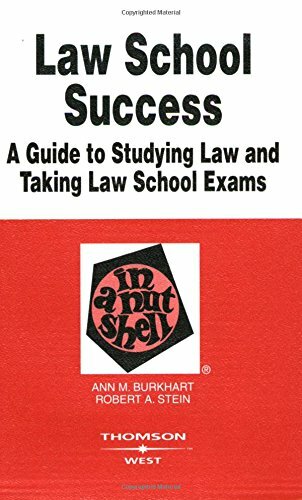 Law school success : a guide to studying law and taking law schoool exams by Ann M. Burkhart & Robert A. Stein. This book answers questions students have as they begin their studies. What is a tort? Hornbook? Should I join a study group? It also explains and gives examples of the best methods for studying and for taking exams. It provides questions and model answers from actual law school exams. 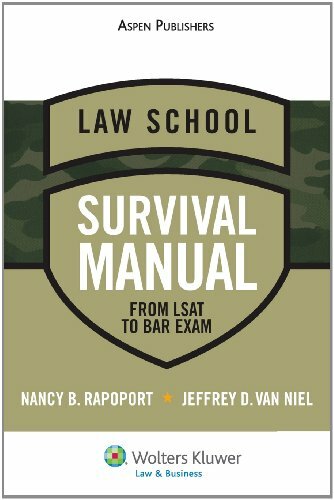 Law school survival manual : from LSAT to bar exam by Nancy B. Rapoport, Jeffrey D. Van Niel. 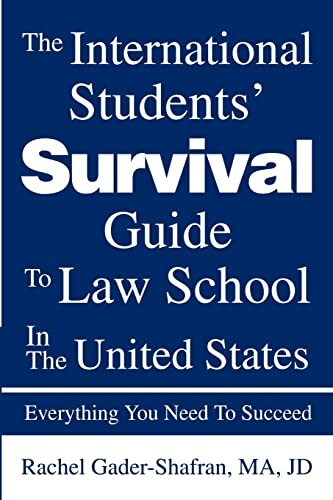 In the Law School Survival Manual, Nancy Rapoport and Jeff Van Niel serve as the friendly voice of experience whose wit and wisdom will guide you through law school from the application process to orientation, and from your first year to graduation - including summer jobs, clerkships, and the bar exam. 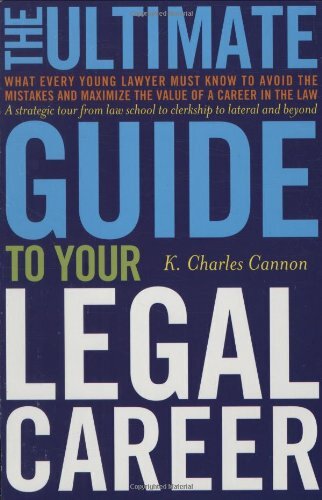 The book discusses in simple terms what law students need to know about law school and how to get the most out the law school experience. 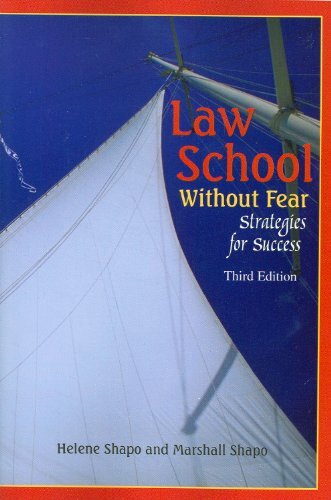 The text also discusses the problems law students encounter most frequently and solutions to those problems. Topics covered include briefing a case, precedent and how to use it, balancing competing interests and factors, legal writing, and psychological tips for the study of law. 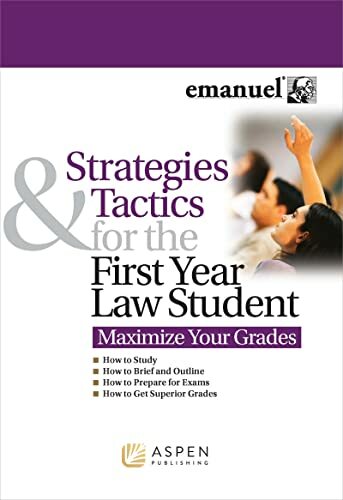 This book provides a detailed, step-by-step program for surviving the first year of law school. Tips for note-taking, outlines, exams, and handling the pressures of law school. What to expect before you come to law school; What to do when you get to law school; How to organize for classes; How study for exams; How to attack writing papers. Offers advice on law school, clerkships, and careers. 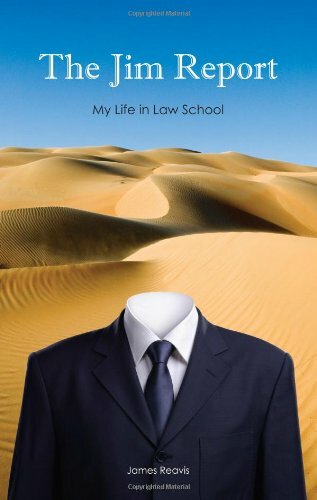 Written by a lawyer for lawyers, Deborah Arron's book is a virtual encyclopedia for lawyers in transition, covering such topics as how to conduct a self-assessment and transferable skills analysis, how to detect and prepare for layoff, how to establish a transitional financial plan, how to market your special talents, how to work with career consultants and headhunters, how to decide whether to stay in law or leave, how to avoid job-interview hell, how to handle compensation negotiations that work in your favor. This modern version of law school life from the perspective of a (mostly) ordinary student tells it like it is, without the benefit of hindsight, and leaves the matter up to the readers to decide if law school is right for them. Asked & Answered provides practical responses to the most commonly-asked questions that second-year students have regarding career issues: where to find the right job this summer, building a great resume, writing a compelling cover letter, networking advice, and much more. Answers are provided by successful attorneys, law school professors, and career service professionals. These answers will enable students to gain a competitive edge, use all of the resources at their disposal, and succeed in their professional lives. 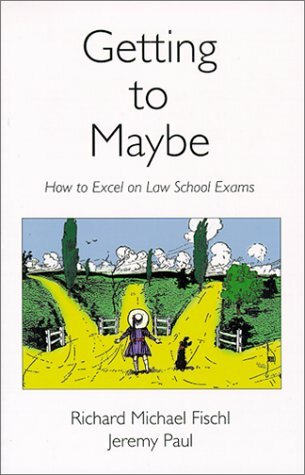 Professors Fischl and Paul teach how to excel on law school exams by showing the reader how legal analysis can be brought to bear on examination problems. The book contains hints on studying and preparation that go well beyond conventional advice. The authors also illustrate how to argue both sides of a legal issue without appearing wishy-washy or indecisive. Above all, the book explains why exam questions may generate feelings of uncertainty or doubt about correct legal outcomes and how the student can turn these feelings to his or her advantage. Veteran law student Justin Spizman offers hints and advice to students considering law school and those that are already ensconced in the curriculum and atmosphere, but need a push in the right direction. "The Insider's Guide to Your First Year of Law School" promises to get any student through the first year unscathed! It contains: student tips and section summaries; step-by-step outlines; and professor pointers. Written for students by a student. The purpose of ''One L of a Year'' is to focus on the reading, studying and testing strategies used by the most successful law students. 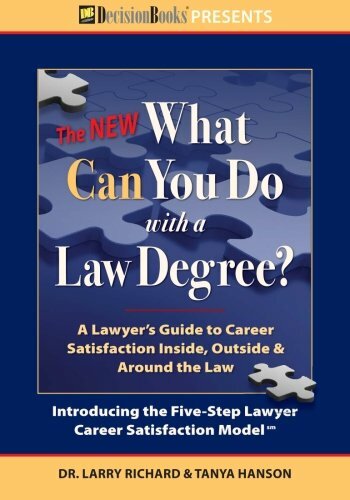 This book is more than advice — it is a learning guide based upon empirical research and statistical correlations between law student learning and their law school GPAs. Bitterlawyer.com is a legal humor and news blog targeted at disgruntled lawyers. The website features a webshow entitled "Living the Dream," which follows the bumblings of fictional big law junior associate Nick Conley. This resource for law students offers advice, commentary and news. Collection of legal blogs by law students. Blog from a former medieval historian who decided to leave academia and go to law school. Advice from law students on how they would do things over. CNN.com brings you the latest news and video about crime, the law, and the courts. The Daily Report, often referred to as the Fulton County Daily Report, is Fulton County's official legal organ and Georgia's leading source for legal news and information. The newspaper was established in 1890. Every day, lawyers and business people across metro Atlanta and throughout Georgia start their day with the Daily Report. JURIST is a Web-based legal news and real-time legal research service powered by a mostly-volunteer team of over 30 part-time law student reporters, editors and Web developers led by law professor Bernard Hibbitts at the University of Pittsburgh School of Law in Pittsburgh, Pennsylvania, USA.